At the end of the track that is the driveway, I park my car in the car park, beside a huge Buddhist stupa surrounded by prayer-flags flowing in the wind. I turn the ignition off and step out of the car. Time seems to be still. I have been here before and there was the same tranquillity – the wind rustling through the trees, the views over the hills, and the amazing peace and quietness as though there was nobody else around. The other few cars in the carpark gave it away that actually there are other people around…somewhere. I walk across to the tiny building which is the office and peek inside; there is nobody there, so instead I just gaze out at the view. The nervousness I had felt during the drive here is already starting to fade a tiny bit, or at least melt at the edges. Funny that I am nervous all over again, when I have been here before and attended silent retreats before. Not really sure what I am worrying about anyway. I see a guy walking from the café/kitchen and he walks to me and introduces himself – D, the manager. He assigns me a room and I hug myself smiling, knowing it’s the room right next door to the room I had been in last year, and overlooking the beautiful garden and hills. Just as I remember, it’s a tiny room with a smooth wooden floor, a single bed and a bedside-table with a lamp – simple…. and all mine for 3 nights. Down the path at the end of the building is the meditation hall, and beside that is the building which includes the bathrooms. The bathrooms are sort of caravan-park style, with a few spiders hiding in the corners, yet very clean and perfectly fine. I walk the path to the meditation hall, slip my shoes off, and enjoy the luxury of feeling like there is still nobody else around – I step inside. The same amazing peaceful energy fills the room. It’s beautifully decorated with Buddhist statues, pictures, and adornments at the front of the room and also a colourfully decorated roof. Our red meditation cushions are set out in a large circle around a room, and in the centre of the room a candle circled by crystals. As I walk around the garden I meet some of my neighbours and fellow meditators that I will soon be sharing the silence with. Funny how I feel a little awkward and shy being there by myself BUT everyone else is exactly the same – there alone! And everyone is lovely and friendly and keen to chat….well we only have a couple of hours until our first meditation session and then the silence will begin. It’s lovely to see V again who attended the retreat with me last year – its funny that we don’t really know each other, besides from the fact that we both practice yoga and meditation and have been through the retreat experience before, but chatting to her is very comfortable and she feels like a friend. She tells me that she is booked to attend A’s next retreat also which is 10 days in India and I smile and I’m excited for her. Over dinner our whole table chats as if we are old friends. One lovely lady, D suddenly realises from our conversation that the whole retreat will be in silence, and she erupts with laughter at herself; she is obviously a very chatty and social person and looks at us in mock horror wondering how she will survive. We all giggle along with her. The first session in the mediation hall begins a little late because dinner was running a bit over time and also there were a few people still arriving and checking-in. Walking in for that first session feels a little funny, as I remember previously – because as I choose a ‘spot’ and place my own mediation cushion and blankets there, this will be my ‘spot’ in the circle. And suddenly I’m more conscious of other peoples’ energies. Soon all the places except one are filled. Then our meditation begins. There is a person making small noises and I find it a bit distracting. A lady on the other side of me has a pop-up meditation seat, that is sort of tent-like, and I find myself disapproving of it. I begin to wonder about the choice of my spot. I begin to wonder WHAT I am doing here. I begin to wonder about the talk that is going on in my head. The one remaining place is filled part way through our session, as we are going around the circle to introduce ourselves. A young lady tiptoes stiffly into the hall and sits on the cushion and introduces herself as ‘needing’ meditation to be able to ‘function’ in her life due to various problems that she didn’t elaborate on. She looks a mixture of vulnerable, stressed and determined, and I like her already. I feel a little sad for her that she didn’t get to chat with any of us over dinner, how she is thrown right in at the deep end straight into silence. I am extremely tired by the time my head hits the pillow. Plus I have a mild headache. Luckily I packed my heat-pack, and placing the weight of that across my eyes, I tuck myself into bed expecting that I just need a really good sleep. Sleep didn’t happen very well at all. Nonetheless I’m out of bed at 5.11am to take a shower before the morning session. It’s sort of nice being out in the morning air when it’s so quiet and still and dark. I’m the first in the bathroom and so there is no waiting for showers. Thank goodness for the beautiful hot shower and I feel a tiny bit better, despite my headache still hanging around. As the 6am wake-up gong is being chimed, I make myself a cup of peppermint tea in the kitchen, and so I have plenty of time to drink my tea, walk into the garden, and gaze at the morning sky lighting up the hills. At 6.30am we are all seated in the meditation hall and our meditation begins to the sound of a version of Gayatri mantra from A’s ipod. At least I think it’s Gayatri mantra – I notice thoughts inside my head wishing for silence instead of the music; the guy chanting has a very deep voice that seems weird to me. Annoyance rises up…. as if I’m sitting in my car stuck in traffic at roadworks and the guy holding the sign looks as at though he is never planning to turn his sign from ‘stop’ to ‘slow’. After the mantra we continue our meditation in the silence. My headache makes it a little challenging to stay seated upright and I have to remember to be compassionate to myself, so after a while I fold forward and place my head down on the floor on a blanket. Plus there is the left leg starting to go numb around about the 30 minute mark, grrrr! I had sort of forgotten how the self-talk keeps going inside, despite no external talking. The internal talk seems to become louder, like it’s trying to find a way out! For this purpose I write a lot in my journal and A LOT comes out. I am annoyed about many things, past, present, future. Annoyance seems to be a big theme…..which I realise is the polar opposite of a quality I would much prefer to cultivate – Contentment. I eat a very big breakfast of museli, stewed prunes, yoghurt, and toast with honey. Then I sign my name into the ‘hill walkers’ list. All I need to do is pop back into my room for my hat, water-bottle and mobile phone. I get incredibly frustrated at myself that I cannot find my hat; where could I have left it?! Grrrr! But i give up the hunt and decide the trees are very shady and I’ll survive without it. 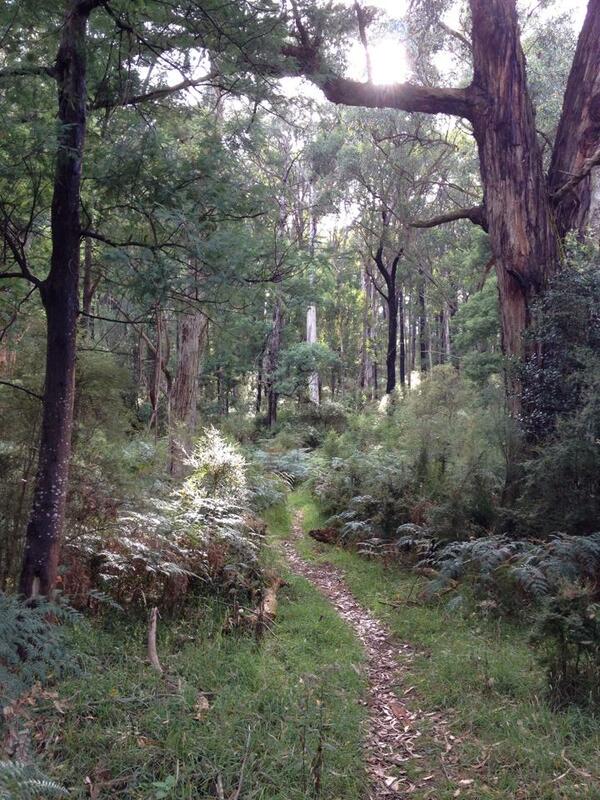 I walk up the hill, amongst the most beautiful gum trees, ferns, birds and the wind gently blowing….i notice lots more self-talk and it’s distracting me from just enjoying the beauty of nature. My self-talk is loud and critical, and I’m so annoyed at myself. How can I be so silly to have lost my hat, and racking my brains trying to figure out where I left it. And I’m annoyed at being annoyed! I am aware of the negativity of my self-talk, and console myself that at least I am aware. Returning to my room, my hat (of course) reveals itself as being there all along. Lunch – amazing! Chickpea and veggie curry with rice, rosted pumpkin and sweet potatoes and salad. Then dessert – apple crumble! ……how nurturing to be served such beautiful meals! I realise that because of my big brekky I hadn’t felt hungry for any morning tea, and because of my big lunch I know I won’t be hungry for any afternoon tea either. I just take a pear from the fruit bowl. Mostly during free time, I rest my weary head. A combination of resting, alternate nostril breathing, ‘legs up the wall’ pose, and self-reiki. But my headache isn’t really budging much, and just like my self-talk, I realise that for the time being I will have to live with it. I have a little conversation with myself about the evening meditation session – perhaps I shouldn’t go and just go to bed earlier. But I don’t want to miss anything. But my head is driving me crazy and I’m so tired. But it’s just seated meditation. In the end, I push myself to go. The gong chimes and I slip off my shoes, enter the hall, and take my seat on the meditation cushion. I go to bed exhausted, after a fair amount of more venting in the pages of my journal. I console myself that tonight, night two, I will get a great night sleep. I’m missing my children and husband, and I suppose feeling a bit sorry for myself. Well, yes, I fall asleep as my head hits the pillow……but then the theme of annoyance continues! Because not one, but at least two mosquitoes keep buzzing near my head and I cannot sleep. I know it’s more than one, because at 3am I finally squash one (sorry gentle Buddhists) and I then lie back on the bed. But soon the next mozzie is buzzing by my ear. I give up, cover my head and face and fall asleep from exhaustion around 4am. It’s light outside when I wake and I realise the 6am gong is being chimed. Damn it. I throw on my clothes and try to get my head straight. ARGH….headache, when will you leave? This morning calls for a cup of tea with milk; it’s the least I can do for myself to be able to make it into the meditation hall with any sort of ‘okay-ness’. The water in the urn isn’t all that hot, so the tea is just warm, but – whatever! I almost scull it down, grab my yoga mat and blanket and make it to the hall just before the 6.30am gong. I settle myself on my ‘spot’ and the same version of Gayatri mantra plays from the ipod. My neighbours either side of me seem as steady and still as rocks, and I realise that I feel very comfortable by their constantly being there either side of me. Seeing my lovely neighbour on my right sitting there and looking so peaceful in Virasana on top of her cushions, I wonder if it’s really true that she has never meditated before (as she had mentioned at our first dinner); she just looks like such a natural. The one hour of meditation seems way too long and is extremely challenging for me. In the silence my mind starts stirring up more stuff. I decide to do my chakra cleanse meditation…after all there is plenty of time and plenty of silence. So I work my way from my base chakra upwards, a meditation practice I have learnt from my modern mystic course with Belinda Davidson. 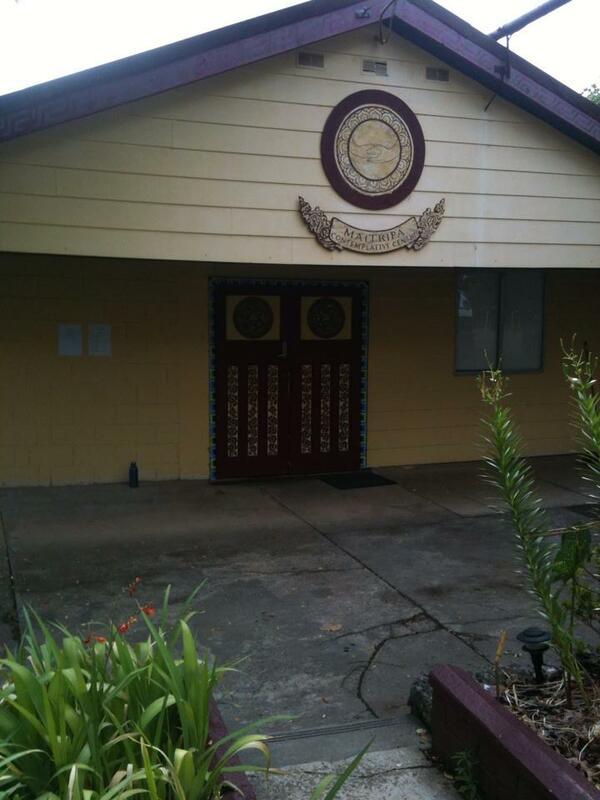 We stay in the hall for yoga – which of course my body soaks up like a sponge, even despite my headache. But there is even more annoyance during yoga….just about little things which seem rather petty and silly, people making noises, people stomping into the hall too loudly, my neighbour swishing her arm near my face….I start wishing to be away from other bodies. I start wishing for solitude. In my room after breakfast as I try to rest my weary head, I start daydreaming about packing everything up, packing it into my car, and driving home to my husband and children. I’m homesick. And I’m so tired of the voice in my head, the judgements, the criticism. I resolve that if I stay, then I won’t go to the evening meditation session tonight. I will just sleep as much as I can. 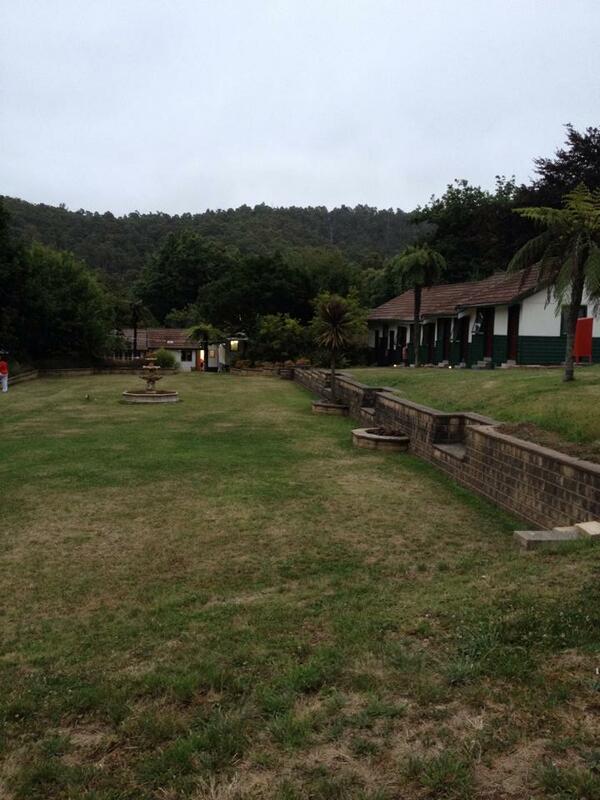 And enjoy the peaceful surrounds. And gaze at the sky. Breakfast had been really nice – hot porridge with prunes and yoghurt. You know what else I loved about breakfast? D was there next to me when I sat down with my bowl and I looked at her and she smiled at me and I smiled back. Also across on the next table V and I shared a smile after we both noticed the toast had popped with no claimant. Oh goodness, I need those smiles. Why? I suppose it’s support. And acceptance. And being okay with myself. When the gong goes for the 11am session I sigh and drag myself there. I feel like I’ve been run over by a tractor. At least I don’t have to make any conversation, because with the lack of sleep I’m not sure I could string a sentence together without sounding like an idiot. A talks about compassion for self……aha, that’s me! He also talks about resting in the body, and noticing any areas of tension or pain and softening around it…..another aha! Still the self-talk drags on…..it’s like I’m trying to pile ‘shame’ on myself….”you are a yoga teacher and you meditate every day, yet you can’t sit upright?” “You are just dealing with a headache, and some people deal with chronic pain for god’s sake” “Why are you even here? What’s the point? You are getting nowhere!”. In the afternoon, I take a hot shower and let the water stream down over my shoulders. I comb conditioner through my hair and remove all the knots. I dress in clean and warm clothes, as the evening is becoming very cool. I’m reminded how small acts of self-care and self-kindness can go a long way. The power of a hot shower. 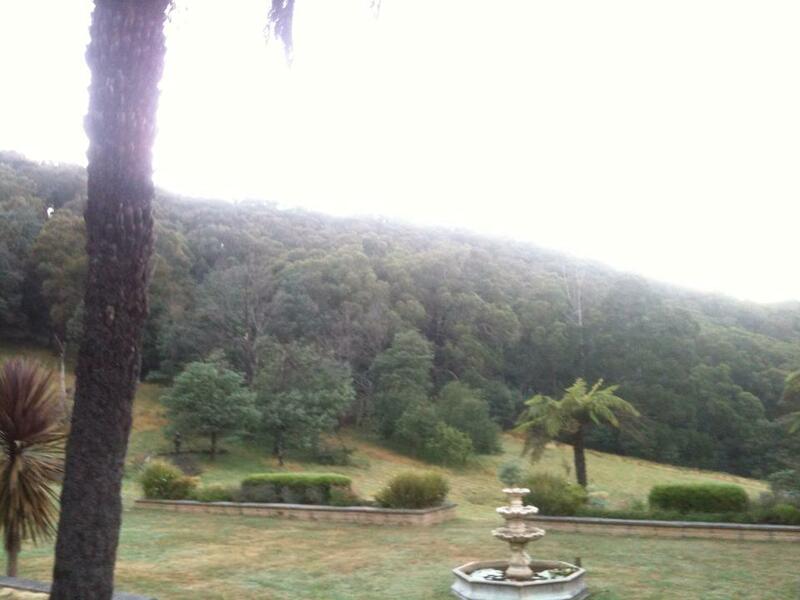 Before dinner, I sit outside on the hill, on the far edge of the garden overlooking the valley towards Healesville. My hair still damp and flying around to dry in the breeze (which is lucky as I didn’t pack a hairdryer and the nights get cold here). I cross my legs and close my eyes and slipping into meditation is easy….. I start bringing awareness to my chakras. I realise my headache is almost clear, my energy is restoring. I just sit. I feel such peace. For some reason A chimes the gong early for our evening session. My doubts about attending the evening session are gone and I walk barefoot into the hall and join the circle. What beautiful energy our circle has. I’m reminded of a comment A told us of a person who said that he felt more connected to the circle of people he was meditating with and didn’t know at all, that he felt after having long conversations with people he did know. I sit up straight easily and effortlessly begin to meditate and I love the music that fills the room and that special auspicious time of the evening as the dusk begins to creep up. I peek out the windows and see the colour of the sky. I know it’s getting chilly out there and I’m glad to be cosy in this hall and part of the circle. But soon, it’s brought to A’s attention that one person who is not sitting on her meditation cushion in the circle may not have returned from her afternoon bushwalk. Her room is opened to find that she isn’t there. There is no response when calling her mobile phone. Several people organise to search for her. The search is unsuccessful and I’m standing by the office waiting for news with several others, as we see two police FWDs pull up in the carpark. The evening is becoming cold and dark, and we are all concerned for her safety. Around 10pm we are all sitting on the tables outside the kitchen when we hear call from nearby “They found her!” We are all so thankful she is okay, and then she arrives – very exhausted from her 7 plus hours of walking, very apologetic to everybody, but we are all so relieved she is here with us. Our silence will begin again when we wake in the morning. I can’t wait to tuck myself into bed, and finally I sleep like a peaceful and content baby. Just before 6.30am it’s such a lovely thing to walk into our meditation circle and feel the caring that we all felt towards Am last night. She was lost and all we wanted to do was find her and bring her ‘home’. It just goes to show that ‘interconnectedness’ does exists between us – it doesn’t seem to matter that mostly we don’t know each other at all. This, our last day, feels like someone pressed the fast forward button, and I want to savour every moment. The walking meditation on the grass is so wonderful, being in that slow motion movement feels like time is also slowing right down. I love the feel of the earth beneath my feet and my body feels so at ease. We enjoy a beautiful lunch together and now we can all talk. Everyone has so much to share – there is talk about the mosquitoes, spiders (including a massive huntsman in the ladies bathroom which was relocated into the garden), and reptiles. Sleeplessness. Meditation positions. Struggles are shared. Everyone is smiling, sharing and being heard. Our closing circle is different from our opening circle. When it’s my turn, I feel nervous to speak for about the first 3 words, and then I just keep talking and suddenly it’s easy. I look around the circle as I pause between words, and everyone is listening, and they care about what I say. I listen to each person in turn and I love hearing their words. I love hearing about their experiences. We are all unique. And yet we are all pretty much the same. I’m not a fan of goodbyes. I receive hugs and give them. We slowly make our way out, little by little, saying goodbye to others as we go. I have everything packed in my car, except my meditation cushion and car keys in my hands. I’m still waving goodbye as I unlock my car and jump in. I start the ignition and I’m smiling to myself. I wonder what the kids got up to over the weekend with their dad, and I can’t wait to hug them all. The ‘Gayatri mantra’ is playing inside my head, the version that A played each morning at 6.30am, and I love it. My heart is glad, content, and peaceful…… I’m saying goodbye to Maitripa, but it’s just for now. Thanks for sharing Karen – could definitely feel your journey through your words!